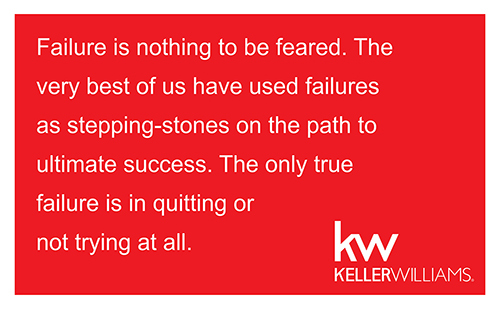 Andrew Carnegie claimed the secret of success is choosing the right man to do the job. DOCO was founded in 1984 in response to a recognized need for service that is prompt and courteous to the buying public. 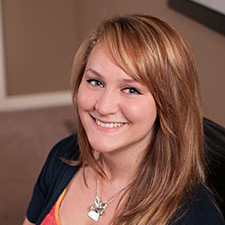 At DOCO Quick Print, Inc., we treat our customers as people, not as another dollar bill toward some stated sales goal. By consistently meeting our delivery promises and providing quality printing at fair prices, DOCO Quick Print, Inc. has built a strong base of repeat customers. Customers who know that when their work includes printing, the right man to do it is the DOCO Duck! Isn’t it time you got the service you deserve? 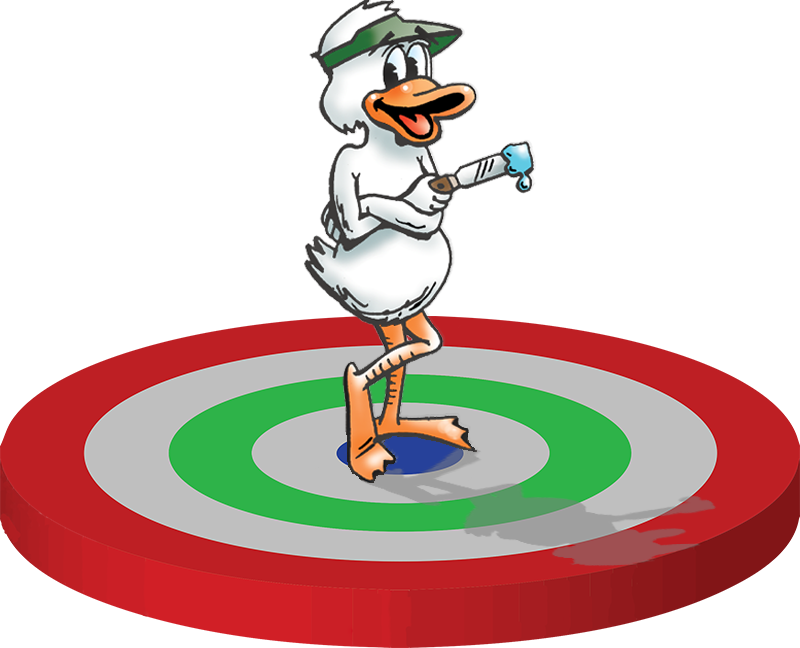 Try the DOCO Duck and let us hit all your checkpoints! With over 65 years experience in the printing business, the owners of DOCO Quick Print know their business...and know how to use that knowledge to save you money! We can follow your directions to a “T”, or you can turn us loose with a few basic ideas. It's your call. Either way, we're spot on with designs that meet your every need: simple or complex! Need basic black on white forms? No problem! 20,000 full-color glossy brochures? Okay! Multi-part computer forms? 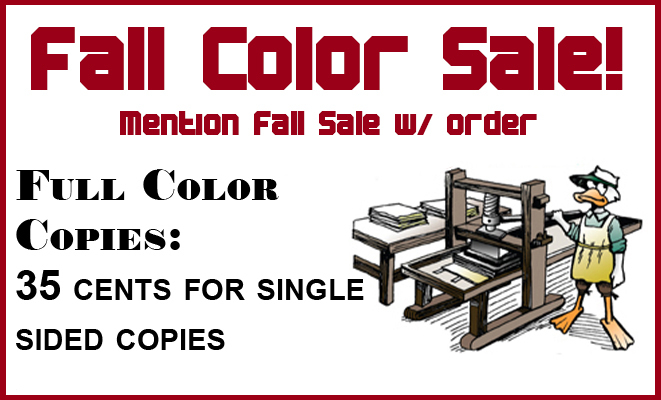 We've got you covered for anything that prints on paper! 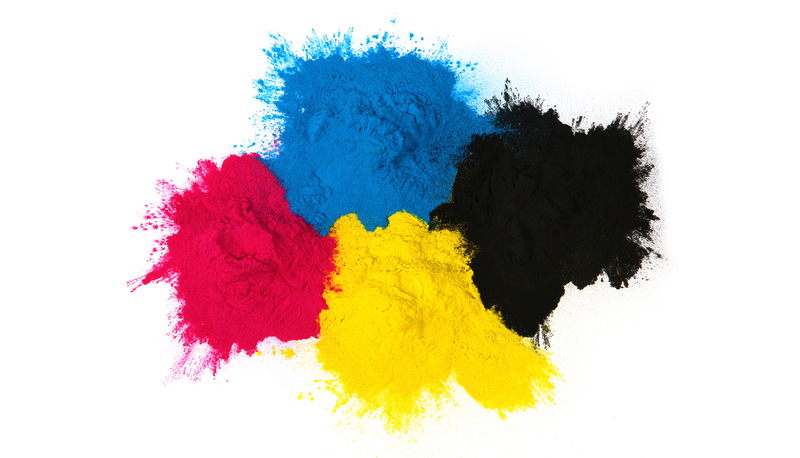 Fast, super-high quality digital printing on uncoated, gloss or cover stocks. You don't need an “easy button” with DOCO. That's our goal each and every day. We make your job easy! 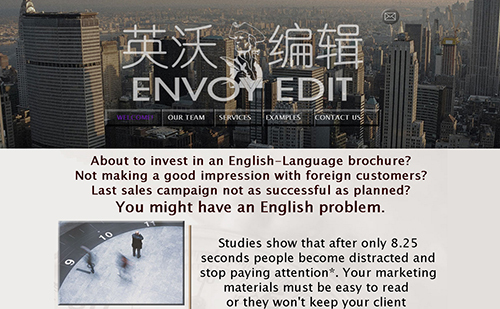 Need a website that adjusts to any size screen? 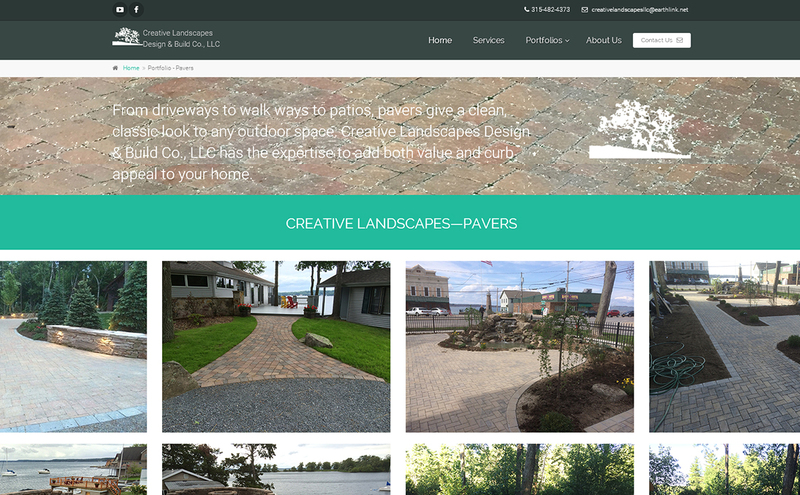 We can upgrade your current site or design from scratch. 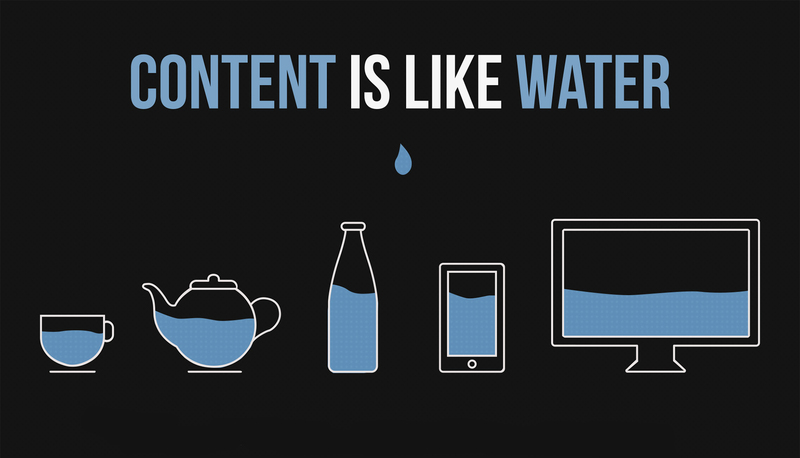 Either way, we hit the bullseye with responsive websites! DOCO can handle all your design and printing needs whether publishing on a press, a laser printer or even the web. Contact us today! With over 35 years experience putting ink on paper, DOCO designers know how to create top-notch layouts that don't add unnecessary expense in the press department! 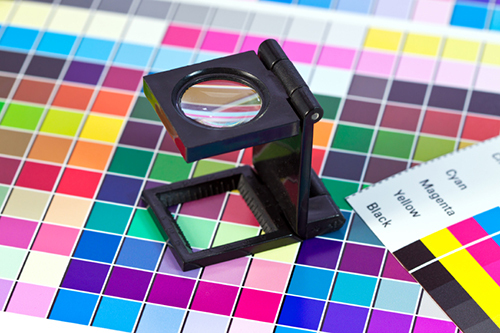 If it prints on paper, DOCO has you covered from basic black and white forms to solid process color. Need signage, mugs, banners or pens? We print those too! Is your current website unresponsive? Is it nearly impossible to navigate on a smartphone? DOCO can supply you with a painless upgrade to a responsive Bootstrap site! DOCO Quick Print is a complete print house. Listed below are just a few of the services we offer. 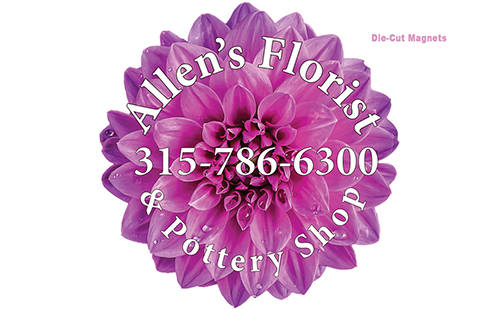 Call us today at 315-782-6623 for all your printing needs! 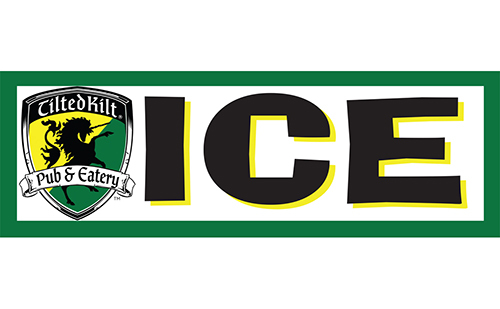 Please Call 315-782-6623 to schedule an appointment with a salesperson! See you after we thaw out! 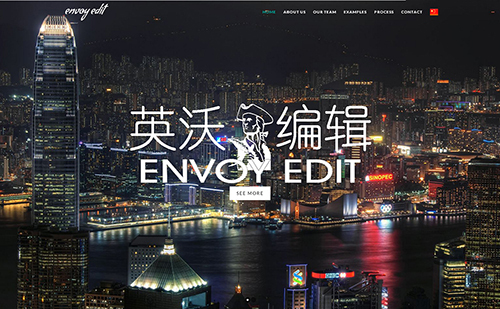 Starting with a “Drag and Drop” site, DOCO originally updated Envoy Edit to a visually improved custom site. At this point, however, the client decided they would rather opt for a 100% Responsive Bootstrap site. 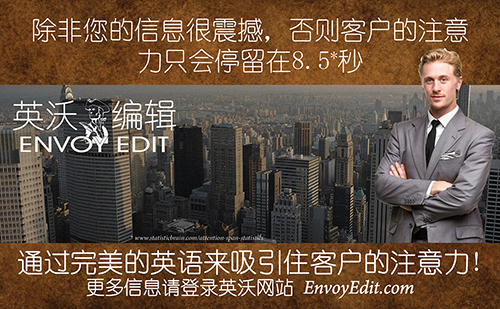 Design of the site is finished and awaiting translation into Mandarin Chinese. 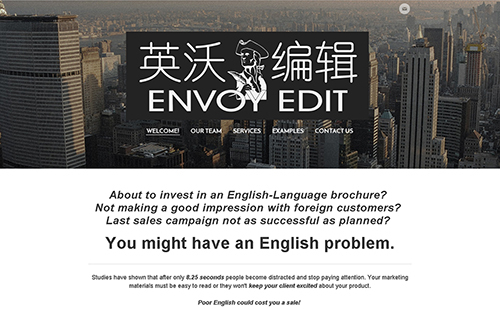 Upon completion of this final step, Envoy Edit will have a website that looks great no matter the viewing screen size. That's a definite plus considering the power of today's smart phones and their growing use for web browsing! Taking verbage and illustrations from a standard web page and upgrading to Bootstrap is a painless process from the client's point of view. An extra photo here and there. Maybe tweak some wording. That's all that's needed to give a fresh, modern appearance to dated sites. Plus, for basic sites, the cost is a fraction of traditional web development! For information on how to update your site, send your email. We're glad to help! Select the “Contact Us” tab on the main page! What do you do when standard forms just won't do the job? 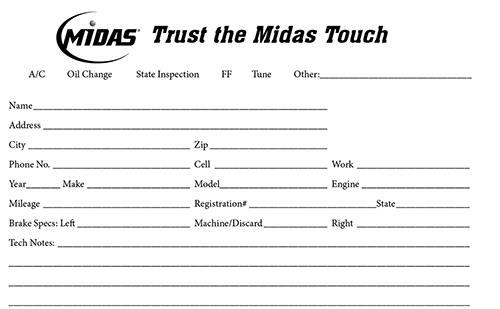 Midas Auto Service needed two forms combined into one and weren't quite sure if that was possible. 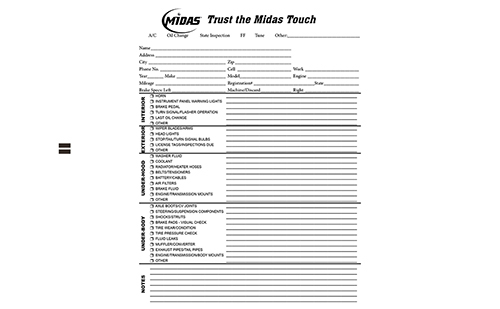 Complete enough form design and you know there is almost always space for more information. With a little juggling, pulling section headers to the left to run vertically, and stealing a bit of leading from each line of type—Midas got what they wanted on a single page. 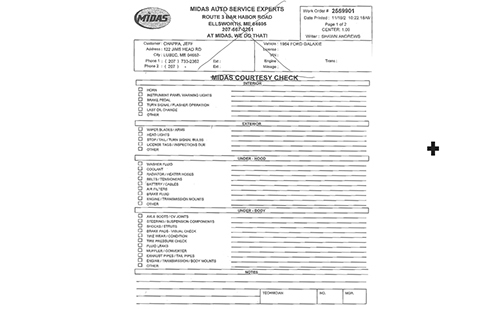 Now their techs have all the details they need to provide outstanding service on every job! 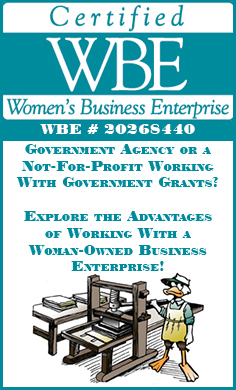 Microsoft products like Word, Publisher, and Excel can do a great job on basic forms. We print a lot of jobs from Microsoft files provided by customers. But there are complex forms out there that demand the high-powered touch of InDesign. The design team at DOCO assembles forms on a regular basis. We know the kind of spacing needed for handwritting as well as the accuracy demanded by computers. Let us help you on your next project! Need some help designing a new form? 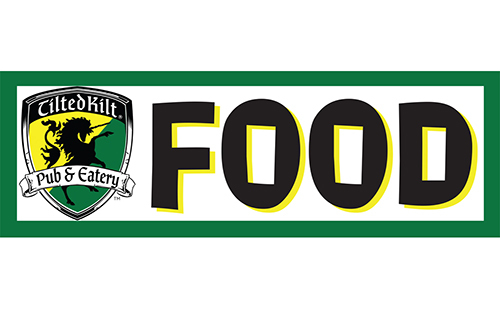 It's our forte. 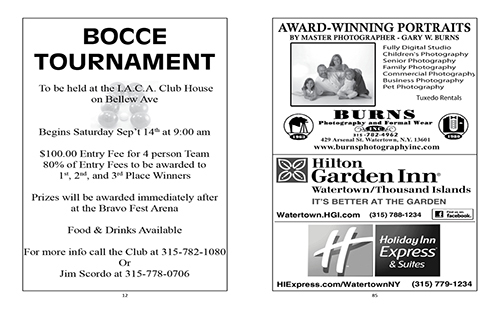 Contact DOCO today! Select the “Contact Us” tab on the main page! 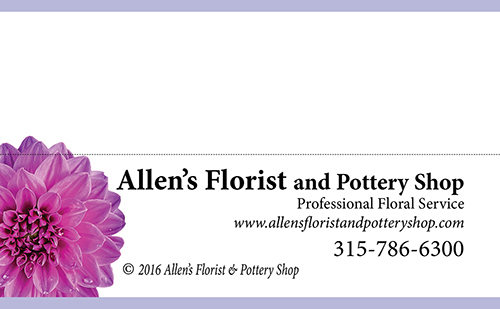 Allen's Florist came to DOCO for a redesign of their business card. They didn't have too many demands. They wanted it full color. They wanted the four-credit card bar. They wanted some basic information. 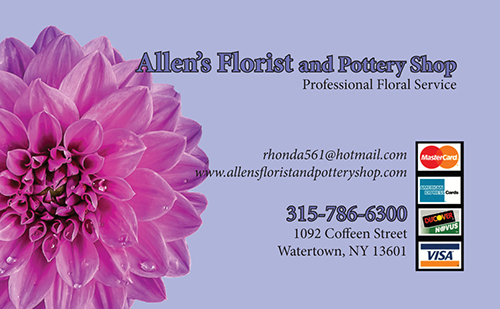 DOCO took it from there, finding floral artwork able to snag attention on a business card and distinctive enough to carry other projects. 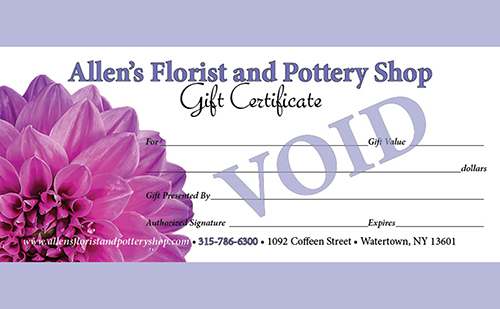 The result is a card as elegant as Allen's floral arrangements. Designing a business card can be tricky. Each one presents much the same information, so how do you make it distinctive? The interplay of fonts and colors is a start, but a great illustration to draw the eye into the card can't be beat. 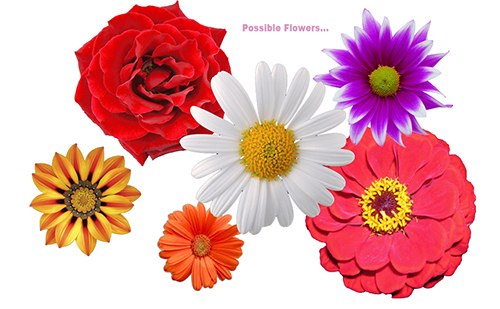 That same illulstration can be used in other projects, giving your business a unified look that makes it memorable. These extra design touches are what puts DOCO ahead of the internet Drag and Drop sites. Why settle for a card that only does half its job? That little piece of cardboard should be your biggest salesman! 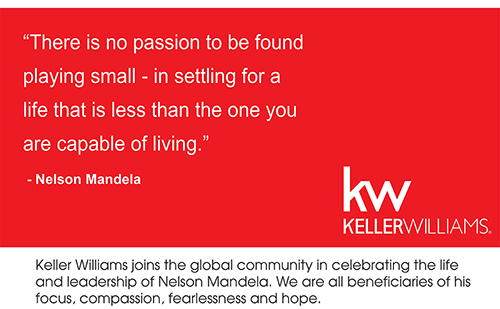 Would you like a business card whose design highlights your company's strengths? Contact us today! Select the “Contact Us” tab on the main page! 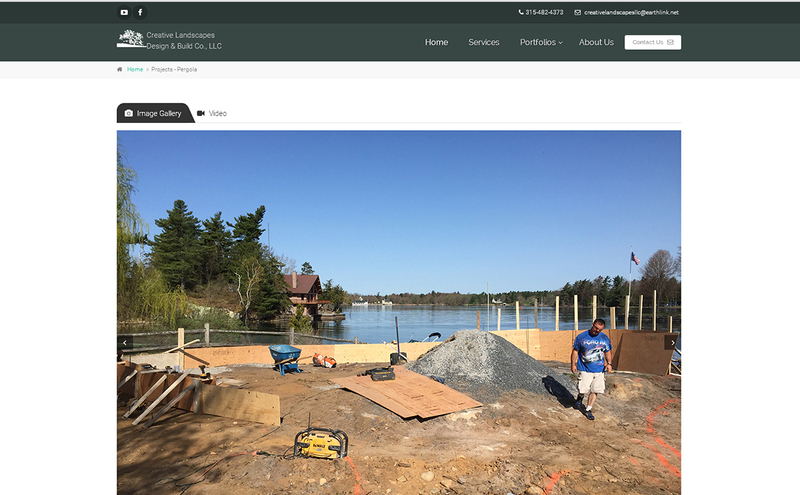 Radley Beach with Creative Landscapes Design & Build Co., LLC asked for a photograph-heavy portfolio site which DOCO is in the process of delivering. It all starts with a sixteen photo sampling of his work that will eventually lead into 3-4 project pages. 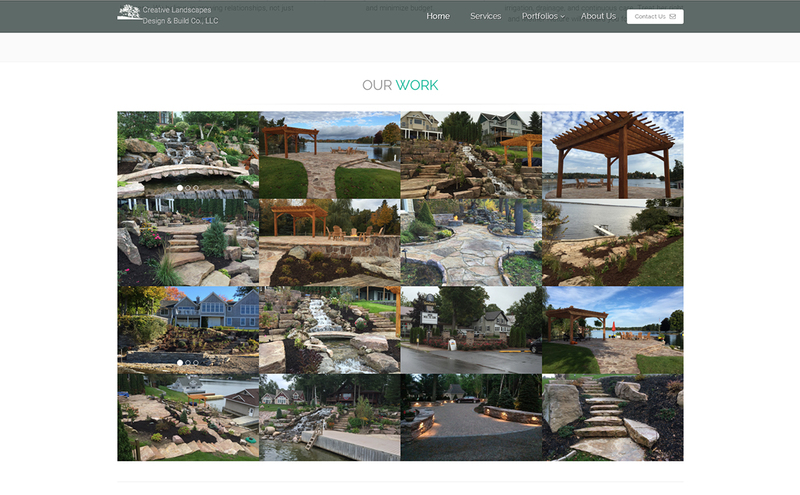 These project pages give a before and after glimpse of what goes into the gorgeous stone and paver work Radley creates. 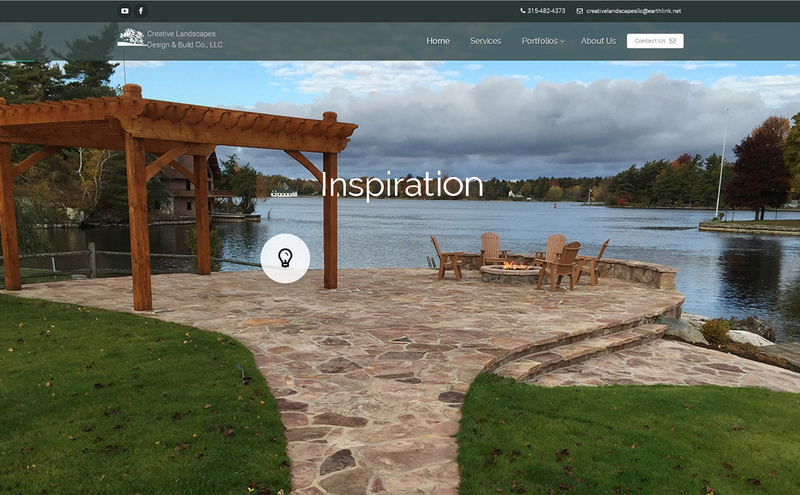 Portfolio pages provide photos of finished jobs to help future customers picture what their landscape could look like. Prior to “writing in stone”, DOCO completes sample pages for customer approval. This is the time to select photography and artwork, tweak color schemes and layouts, and do a final edit on all copy. We then use these sample pages as references when we begin to code the final website. There are no surprises! For information on how to update your site, send your email. We're glad to help! Select the “Contact Us” tab on tne main page! 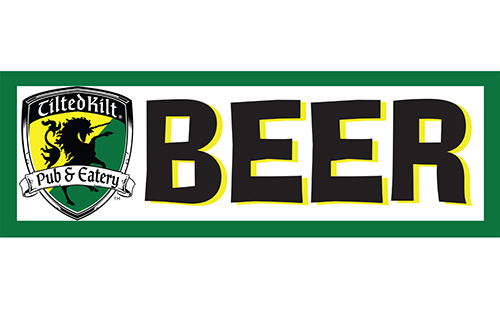 When the Tilted Kilt was asked to run a food and drink tent out at Sackets Harbor Battlefield, they came to DOCO for signs. We settled on a set of four six–foot vinyl signs with grommets every two feet allowing the sign to be tied to the tent frame to withstand winds coming off Lake Ontario. 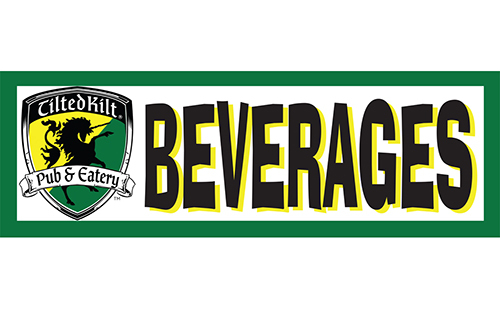 After getting a high resolution logo from corporate headquarters, we used logo colors for the rest of the sign, giving Tilted Kilt eye-catching banners that will last for years. 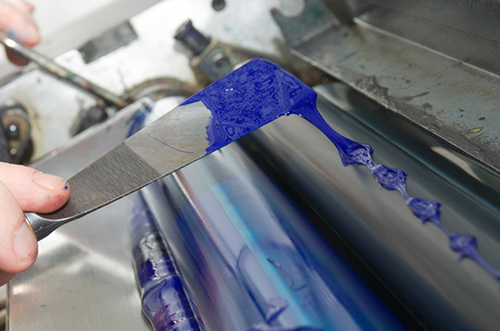 Large scale printing for banners and outdoor signs is a snap if certain rules are followed. Logos must be either vector or very high resolution to withstand magnification without becoming blurred. So too with type. There's no using Microsoft Office products to create banners. Type must be vectorized, a process which turns pixels into smooth curves and allows artwork to be used at any size without loss of quality. High end design software such as Creative Suites' InDesign, Photoshop or Illustrator handle large–scale printing with ease. Let DOCO help you on your next project! Have an event coming up that requires indoor or outdoor signage? Any size, any substance, DOCO can help! Select the “Contact Us” tab on the main page! 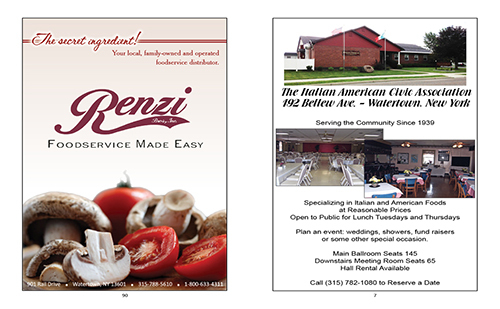 The Italian-American Civic Association needed an advertisement/souvenir book for their Bravo-Italiano Festival. They needed an original cover design and both color and black and white interior pages. 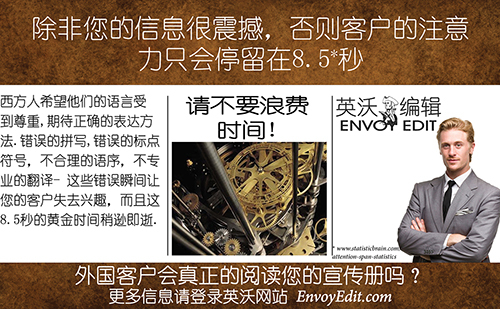 Accuracy took front stage: all ads must be included with proper information and located in the appropriate section. Interspersed was photography from previous years and memorial pages. Like any other ad book or annual report, this project was more than half about successfully juggling its assorted parts. Luckily, we're good at juggling. DOCO started out by finding just the right photograph: a wide angle shot of Venice. Placed into frames with a complimentary background color, this became both the front and back covers. Throw in the traditional curved red type, add festival dates and the cover was complete. We always keep close track of any ad copy, so all that was left was mirroring the cover's colors on editorial pages inside the book to tie everything together. Bravo Italiano! Is your club or organization planning a special event with a souvenir ad book? 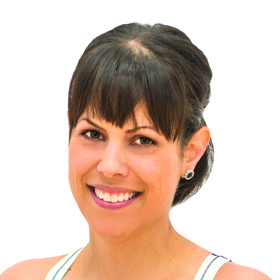 Let DOCO take the pressure off with professional assistance! Select the “Contact Us” tab on the main page! Requests for oversized printing cover a full gamut of products from posters to vinyl banners to political signs to signage and counter cards,vehicle magnets and retractable tradeshow banners. These items print on paper, vinyl, cloth, foam core, gator board, metal. You name it, you can get it at DOCO Quick Print! When the Lori Gervera Team, Keller Williams needed a series of posters designed and printed, DOCO created vector graphics to print on a 9mil poster paper. 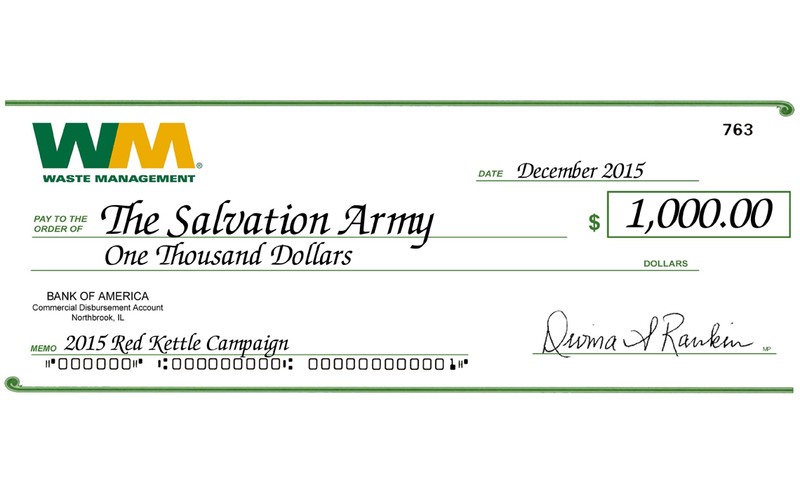 Waste Management needed an oversized check for publicity shots of a Salvation Army Christmas donation. DOCO filled in the blanks on the vector check they supplied and blew it up to four feet long. 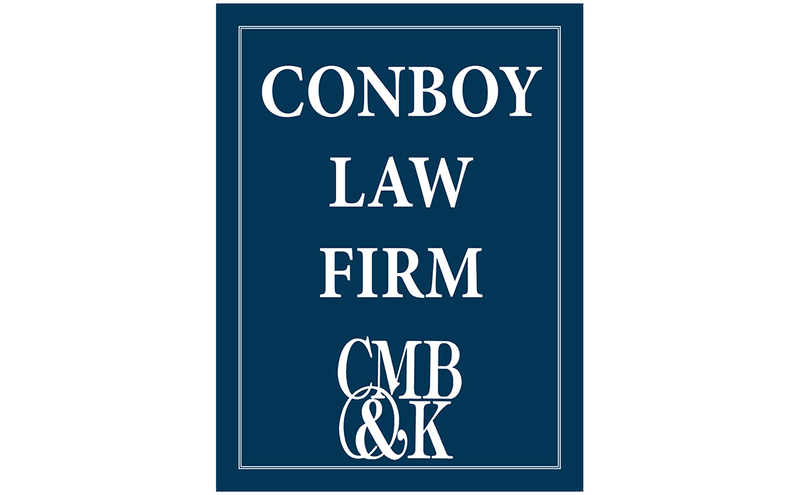 When Conboy Law Firm needed a table sign for trade shows, not a problem. Gator Board with a matte laminate to reduce glare will keep them visable and looking good for years. 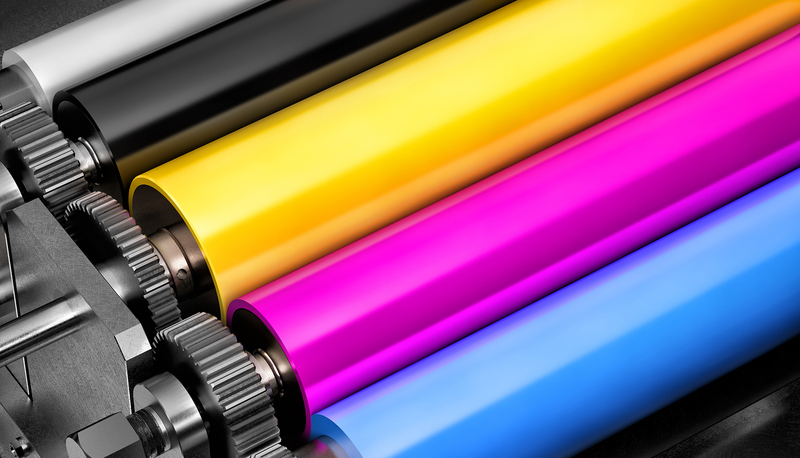 DOCO has the experience to make your oversized printing a success—contact us today! Select the “Contact Us” tab on the main page! So, how do you get a little synergy going between your website, your facebook page, your email blasts and your sales literature? 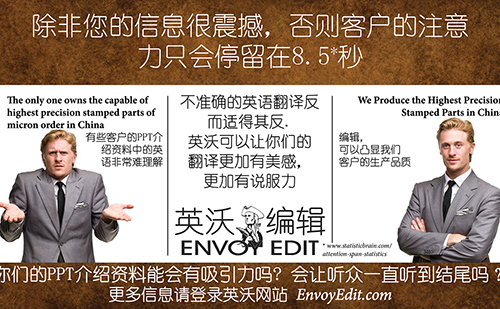 That was our task for Envoy Edit. It was as simple as working the same design ideas and basic copy into all their communications. Big companies do it all the time. Think of golden arches. We all know who that is without a second thought. But can smaller companies strive for the same effect? Why not? With a little creativity, local businesses can achieve multi-national results on Mom and Pop budgets! 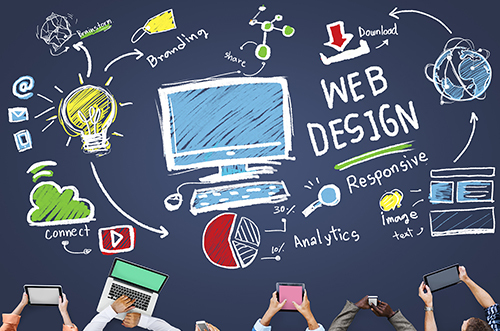 This result is most easily achieved when a website is designed from scratch. 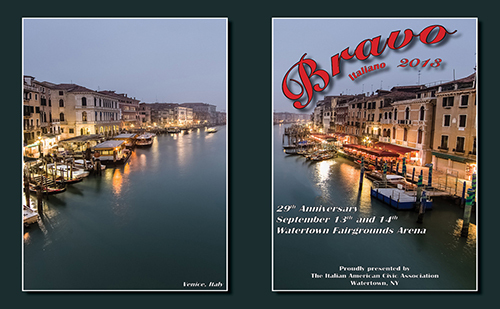 Planning ahead for multiple uses, artwork can be created for offset printing and saved in large files then down-sized and renamed for web use. We have the design experience to create winning campaigns in multiple formats as well as the organizational capacity to juggle multiple files sizings. Let DOCO guide you through your next promotional campaign! Get some synergy going. Tie major components of your website to your e-mails, facebook and printed marketing products. For information on how to connect your printing to your website and more, select the “Contact Us” tab from the main menu and ask how the DOCO Duck can help your marketing! DOCO takes so much pride in their work! They do so much more than just printing. Their pricing is extremely competitive and they check their work as they're doing it so there's no surprises when you pick up. Highly recommend these guys! 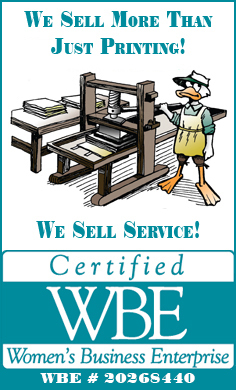 The only place to go for your paper and printing needs! They go above and beyond for me and my business!! I've thrown several last minute projects at them and they haven't even blinked. They always exceed my expectations!! Carolyn & Dan are great to work with. They are very responsive and their service is excellent. I buy all my printed materials from them and would highly recommend them. Printing Files Too Large to Email? DOCO Quick Print is a well-established, woman-owned print shop located in Watertown, NY and shipping to any destination world wide. Feel free to contact us with questions you might have on upcoming jobs. All quotes and consultations are at no charge. Give us a try and let us show you the DOCO difference!